For two years, my husband and I counted on a specific job he would go to once his current assignment ended in August of 2011. But in July of 2011, he learned that job was no longer open. For the first time since he entered the work force fifteen years earlier, he faced unemployment. And what could be a worse time than the current employment situation, his career being one of the worst for finding jobs, and a number of other factors. In addition, the lease on our house ended and we had to move. Yet I, the consummate worrier, wasn’t worried. This has to be a first. He faced the possibility of losing his job once before, but it came to nothing, and all was secure. He didn’t work for a year and a half of law school, but, again, we had savings and other income, so we were fine. This time my writing alone was supporting us without a home, without job prospects, without family able to take us in. And still I wasn’t worried. We packed up the house and put everything into storage that wouldn’t fit into the SUV, and drove back to Virginia. We didn’t know where we were going or on what we would live, and we knew God would care for us. And He did. My royalty check was much higher than I anticipated. We found places to live. My husband got many more job interviews than we expected. And at the end of October, he received an offer for a great job that took us back across country. Yes, we had to go so quickly we flew instead of driving. We needed to find a place to live. We didn’t know anyone in this new city hundreds of miles from anyone we did know. And, again, despite my fretting, God came through with gentle reminders that He has it all under control. He brought people to us, friends of friends. He found us housing. He found someone who needed transportation in our direction who could drive our SUV for us. This just skims the surface of God’s faithfulness to us through these past three months. Much of it I’m not free to share, as it’s too personal, and suffice it to say that we are not in debt despite all of these travels, moves, living in hotels, and flying to job interviews from California to Virginia. God provided. Always, I’ve known worrying is wrong. God promises to take care of us. He has shown me how true that is. Though worrying is a habit difficult for me to break, I can say that I do it far less than I used to. As a mom, I get tired of reassuring my children the same things over and over again. My “yes” is never just a “yes” until it’s confirmed at least three times. I often get frustrated with my children’s lack of faith in my word. But then I remember that I too do the same thing with God. Why is it that in times of trouble I shout to God for a miracle? Why do I ask him to show me a sign, proof that he loves me, over and over again when he’s already done that through the sacrifice of his son? And just like I continue to reassure my children, God does the same thing for me in practical ways that assure me of his love, even when he shouldn’t have to. I remember the morning I had missed breakfast running late for my teaching job at my children’s school. After my first class I thought I’d grab a granola bar in the snack machine, but I was five cents short. So I went to the teacher’s lounge praying there was something healthy to eat, knowing that in our small school there weren’t many days snacks were available and if they were, they were never healthy. But I walk in and saw a basket of Clementines. (Insert BIG smile) How more practical could God have gotten for me that day? Fast forward an hour later and I ran next door to the convenience store to grab lunch (since I didn’t have time to pack one.) While there I decided to surprise my big kids with a slushie since they were at lunch, and I grabbed a package of donuts for my youngest one. I knew this would be a huge treat for them because I avoid giving all my kids sugar at school, but I wanted them to be surprised and bless them unexpectedly. My big boys were very surprised at the slushies, but my little ones were still in class. That is until my 9 year-old runs into the lounge frantic and says, “Mom, did you remember the cookies for the party in class today?” Nooo, I didn’t remember because every time my son reminded me we were in the car driving somewhere. But I had bought those donuts and there were only six kids in the class! The exact number of donuts. How cool was that? God provided even before I had a need! I could list off a couple more instances of God’s practical love, maybe even more if I really thought about it. Like twenty years ago when I was working the late shift at a residential treatment center and was exhausted driving home. All I wanted was to find a parking spot in front of my apartment and go to bed. It was past midnight and I never found a spot near my apartment that late. But I prayed, really hoping God would show me his love, confirm that I was indeed important to him in this little way. And he did! Right in front of my apartment was an open spot. I don’t know why we have this need for reassurance for God’s love, but we do. I don’t think God gives it to us every time we ask, but I do believe, when we need it most, if we just open our eyes and look around, we’ll see examples of God’s practical love! How has God shown practical love to you? Raised in the Appalachian mountains and square in the middle of the Bible belt, church was nothing new to me. My mother brought me to church shortly after my birth. She taught me good values and the importance of prayer. As I entered high school, it was mom who said, “When you do what is right, regardless of your situation or pressures, you’ll find yourself alone at your locker more than you find yourself with friends.” Boy was she right. My personality makeup was never a defiant child rather I was the peacemaker and peacemakers are not high on the popularity list in high school. Never-the-less, I held tight to the relationship my mother had led me to have with my Father in heaven. I learned early on my strength to muddle through was found when I was on my knees. I said, I learned…I didn’t say, I believed. The older I grew the less I felt I’d found success. My friends were succeeding in college, getting high paying jobs, starting families and me…I was moving through life, going to college, marrying, having children, but never feeling like I’d been successful at anything. So when my marriage to a preacher failed—when I became second place to his alcohol, I’d lost all hope of self-esteem. Still, I never stopped praying. Never stopped trusting God would help me and when He did rescue me from a terrible marriage and a bad situation, I wasn’t surprised. The problem was, I wasn’t looking at what God was doing for me, instead I was looking at my failures. I wrote constantly. Poems, thoughts, stories, children’s plays and it never once occurred to me the theme behind every piece I penned was the unfailing love of Christ. Talk about dense. The day God took hold of my shoulders and shook me, was one Sunday morning as I taught a college-age class. Win or lose…the words snapped back. He is all you need. That was the moment I realized I was a skin-deep Christian. I loved God, went to church, believed in Him but the relationship I had with Him was purely platonic. Through every hard moment of my life, I’d prayed and God had answered. He saved me countless times but all I saw were the things I’d failed to make a success. And when I finally took hold of the hand that reached out to my soul and pulled me out of the mire, I saw the success found in Him. I suddenly saw, success was not in the titles I held or even how I raised my family, but it was in the faith I placed in Christ to pull me through. Those were the successes that counted. Oh, I occasionally win. I won first place in the novel contest at a major writers conference but most of the time, I’m second. I’ve come to believe it’s my thorn in the flesh. Like Paul, it’s the reminder that keeps me turned faithfully to Christ so He can use me. It never occurred to me I was anything special at all but the day I finally held up my hands and said okay to God, He made me special. After all, He’s all I need. Success is not measured by the titles we hold, the money we make or the awards we win. Success falls in the values we carry and how we allow God to use those things through us. Success is not ours to have, but His to give and when I learned that, when I took hold of God’s hand and let Him take charge, then the success of my heart grew. I never imagined I’d help start a successful ministry. I never anticipated God would use me to share stories that shake the heart. I never thought in a million years, success within Christ was so wonderful. It’s not what we do for ourselves but what we do for others that is most important. And when we develop that intimate relationship with Christ, when we say “yes” to Him, our success is found in the success of others. God knew what He was doing when He placed the words of the golden rule into scripture. Do for others the things you’d have them do for you. In other words, be a servant first then your success comes through the satisfaction of knowing God has used you. So, yeah…I’m pretty special, very unique and definitely outstanding. And in His eyes, I’m never ALMOST. I’m always first. There were two more major hurdles in our way that we did not perceive. They both reminded me of the severity of the situation we were all in and that we had to continue to rely on God to see us through this. The first was when my wife was wheeled into the operating theatre where we gave her many hugs, kisses and told her that we loved her. We said we looked forward to seeing her after the operation. What was extremely hard was walking away from the theatre doors after she was wheeled into the theatre. The reality of the situation hit us very hard. We cried again. We were rather silent on the way home. My eldest suggested we do some housework while we were waiting to hear how the operation went as a way to preoccupy our minds as we were getting very scared. The second hurdle was when the phone rang 5 hours later. I knew it was the hospital. But I could not bring myself to answer it. Doing so would mean I had to confront and accept whatever outcome it was. It was my eldest daughter who forced me to answer it. She stated that God would give me the strength to accept whatever the surgeon had to say. This was what I needed. I suddenly felt warm, at peace, reassured and could feel His presence around us. I picked up the phone and yes, it was the surgeon. With a pounding heart and body in full sweat, I could not believe my ears when he said the operation was a success and they had evacuated the entire haemorrhage!! I nearly dropped the phone in happiness and relief! My daughters thought it was the worst case scenario as I had not spoken, had gone pale and was staring out the window. Meanwhile the surgeon was asking me if I was still there and did I understand what he had said! This brought me to my senses and time stopped going in slow motion and I gasped and then replied to him. I thanked him immensely and hung up the phone. Many days later, we would be told by this same neurosurgeon that she was an hour away from death! I related this to my daughters who were overjoyed and cried again! We then went to the hospital. My wife was in Intensive Care and we were only able to see her briefly. To speed things up somewhat, my wife’s recovery was amazing. After having some short term memory loss where she did not recognise me, but did her daughters, and learning how to walk, talk, speak and to perform basic tasks such as making a cup of tea, make her bed, go through various neurological tests and pass, she was allowed home in a month. She then spent the next 6 months in rehab as an outpatient. She made great progress. The only brain damage she had sustained was hearing loss in one ear and now has trouble remembering some things. But this is manageable and one learns to compensate for these deficients. Now you would not know she is like this. It is not obvious. From talking to her then and now, this incident has not faltered her faith in God, nor has it faltered ours. It has only served to strengthen and deepen it. Apart from what He achieved for us on the Cross, I am ever indebted to Him for bringing us out of this dark valley, bigger, stronger, wiser and better in faith and in relationship with Him. There have been many accounts from church members even to this day who have been blessed and strengthened by our situation and what God has done. This has all been for His glory. May He be forever praised and glorified!! When I was engaged to be married 25 years ago my fiancee was diagnosed with Systemic Lupus Erythamatosis, a chronic, autoimmune disease that can affect the joints and almost every major organ in the body, including the heart, kidneys, skin, lungs, and brain. In this disease, the immune system, which is designed to protect against infection, mistakenly attacks the body’s own tissues and organs causing damage and inflammation. Over the years, she suffered many periods of remission and exacerbations and much medication, which also hava severe side effects. We were not supposed to have children due to this disease, but after loosing two children (one miscarriage and one live child at 32 weeks, all due to this disease), God granted our wish and blessed us with two daughters who are now 19 and 16 yrs, respectively. In 2004, my wife started to experience severe headaches that became more frequent and more severe each day. After being to doctor after doctor and hospital after hospital and being diagnosed with many things ranging from attention seeking, hypochondriacism, anxiety, unexplained headaches and pain relief not having any effect, we were at the end of our tether. One morning, after little sleep we managed to see her doctor who had been away when all this happened. He organised a brain scan, (no one else had done this so far!) and it was revealed that she had a brain haemorrhage that covered 90% of the left hemisphere of her brain. She was admitted immediately to hospital and had surgery to evacuate this haemorrhage. We were both devastated and as nurses, we knew how serious this was and the outcome could end in death. When I left my wife in hospital that day, I had to then collect my children from school and break the news to them. They were 12 and 9 yrs. Breaking this news to them also broke me. 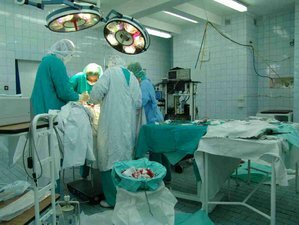 How do you tell your children that their mother has a major illness, needs surgery and could die from either the haemorrhage or the surgery or both? How do you tell them that if she survives she may have brain damage and not be the same again? How do you deal with their emotions and grief? This was one of the most difficult decisions/situations I was in. I had already determined that I could not hold any details back from them as they would know this and demand me to tell them. I know my kids and with-holding information would not work with them or myself. This is what broke me. I realised I could not do this on my own. I was at the end of myself. I did not have the strength to tell them and prepare them for the worst case scenario or to even face this reality myself. In my brokenness, I realised that the only one who could help me would be God. So before I told them, I cried out to God, I told Him, I could not do this on my own, that I need to do it for my kids, I owed it to them to now be the stronger one in their lives. I cried and cried, I asked Him to take over for me. I found myself saying to Him that I accept whatever His will is for my wife and our family. I knew I had to give all the outcomes over to Him and let Him decide. I decided that if He healed my wife with no side effects, if she survived with brain damage, or if she died, I would accept that this is what He wanted for me and I had to acknowledge that He is still Sovereign, loves me and allowed this for His glory. In all this time pouring out my heart to Him, I knew it would do no good for me to harbour any bitterness or resentment towards Him. But I still stated to Him that despite all this, I would still like my wife to be healed and brought back to myself and our daughters and be restored as a family. I had no other source of strength, purpose or motivation to go on except to give all this over to Him and let Him continue to be in control. When I did tell my daughters, they cried and I cried. They immediately wanted to visit their mother before the operation. We did. On the way there, they were honest with me about how they were feeling and even asked me how I was feeling. We discussed all our emotions and I then let them know what I had discussed with God. I was so impressed and relieved when they also stated they felt the same way. I know that on the surface it may have appeared superficial but again, I knew my kids and knew they would not have agreed to that without honesty and sincerity as they had already developed a healthy respect for and relationship with Jesus. I was saved when I was 11 and baptized at the same time as my brother. It was probably appropriate that I was saved at a Truth concert at our church because music has always been an important part of my life. Through the years music has been a constant joy for me, whether performing or teaching or directing. God has done a work in me to change the focus from recognition for myself to glory for Him. I am learning to change the focus from my talent or skills to His mercy and grace. The message is all important. As I look back on the defining moments in my life, I see God’s hand in the details of everyday life as well as in the big picture. From marrying my spouse to giving birth to two biological children and later homeschooling them, God was molding me in ways I could not see. Through disappointments in church music ministry to the decision to adopt children, God was preparing me for a road of pain and heartache. In 2000 God led our family of four to add three siblings to our family. The events and details of this decision were clearly God ordained. Three months after the kids became part of our family my sister died from a sudden heart attack at the age of 53. Through the pain and grief my kids needed me to be present and not dwell on the loss. Little did I know that greater losses and tragedy would come in the near future. We were ignorant of the cost that adopting 3 children, suffering from Reactive Attachment Disorder, Post Traumatic Stress Syndrome and se*ual abuse, would bring to our family. Educating myself and advocating for them became a fulltime job. Realizing that after 4 years the oldest was a danger to our family and herself and needed help beyond our abilities was a gut wrenching decision. Through her next 4 years into adulthood we continued to fight for her as she fought against us. Bringing false accusations of abuse against us ripped my heart to shreds. But God was my ever present help in times of trouble. We have been through heartaches and joys but never has God taught me more about Himself than through the times I’ve spent surrendering my plans and my dreams to His will. It has been a painful process that requires daily discipline and strength. I have learned about God’s love through my children who struggle daily with questions about their life and reality. Every conversation leads us back to acceptance of who we are to God and what He says about us. The scriptures tell us that we are all adopted children of God. None of us can earn our way to God. It’s His great sacrifice that allows us to come into His presence. There is so much I don’t understand, but one thing I know (as Steven Curtis Chapman says): God is God and I am not! I may never know the reasons for suffering and pain and struggles, but I do know the One who loves me unconditionally. My constant prayer is that my children will have a relationship with the Lord that allows them to bring their pain and questions before Him, that they will come to a place of acceptance and joy. The continuation of my story is that my parents went into a nursing home in Dec. 2007 without ever being able to go home again. It was a very difficult time for me, juggling homeschooling, two special needs adopted kids, two older children learning to fly from the nest. My dad died in Feb. 2009 and my mom died Christmas Eve of last year. She wandered outside her assisted living facility and froze to death. The shock and grief have only been coped with by faith in God’s great love and perfect plan. So many hardships have marked the last 11 years since we adopted. There has been tremendous gain and heartbreaking loss but through it all I have clung to the One who gives peace and sustains. God bless you. My “Frantic” Moment . . .
rear view mirror of my clunker. A simple shopping trip to escape the house in the evening quickly became a nightmare. Our area of town had no police station, and I didn’t know where one was located over the freeway on the other side of town. There were two men in the front of the other car, but their silhouettes were all I could see. At eighteen years-old, I had no cell phone and I sat in the driver’s seat alone with my hands clenching the steering wheel until my knuckles whitened. All I did was make a right hand turn against a red light. Perfectly legal, and at the time, there were no cars on the road except for quite a distance away to my left. I turned right and merged into the middle lane. My eyes checked the mirror and I began to drift over to the far left lane and swerved suddenly to avoid hitting a car that was in my blind spot. That’s what started it. I returned to the middle lane to wait for them to pass and they went behind me into my lane. That’s when the brights came on and my nightmare began. I sped up. They sped up. I slowed. They slowed. My foot pressed on the gas and the speedometer needle crept upward until I was twenty over the speed limit, praying for a police officer to pull me over. 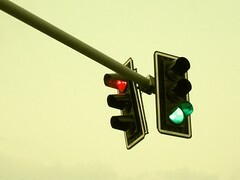 As I approached a major intersection, the traffic lights turned yellow, then red. My eyes widened. I wanted to cry. What if they had a gun? What if they shot me? All the what-if’s ran through my mind. As a writer, it’s what we do best. There were three lanes and a generous left turn lane. I swerved to the left-hand turn lane. It had a large margin in case they tried to pull up beside me. My doors were locked. I double checked. I sat at the red light with my insides like oatmeal and my hands sweating over the steering wheel. What was I going to do? Oh Lord! It felt as if a lot of time passed as I lifted my eyes to the rear view mirror to check on the car following me and my heart stopped. My breath came whooshing out between my lips as I saw a police car behind me instead of the people who meant me harm. To my right, the car that followed me sped off, tires squealing through the green light and I continued on my way to Kmart, shaken and thankful. I came home and called the police to thank the officers who arrived just in time. I gave the crossroads and told the operator what had happened, but because of the brights, the dark night, and my panicked state I had no plate or description of the perpetrators and never saw them again. I thanked God, too, though at the time I didn’t have a full picture of who God was, but He’s been evident throughout my entire life saving me sometimes supernaturally and showing me His presence as I sought him out to fill the emptiness inside. I grew up in an alcoholic home. My father drank heavily, and my sister, Carol, also started drinking when she was 16 and I was three years old. While my father has been passed on these last 11 years, Carol is 61 and still struggles with alcoholism. Growing up, I was told everything was about willpower. I was taught that if I wanted something badly enough and worked hard enough at it, I could make it happen. My dad led me to believe that Carol, too, could stop drinking on her own, if she only wanted to. She almost died once, and landed in the hospital many times throughout her life. Jesus took my heart on March 5, 1997 and my life has never been the same since. Even when all I can pray is “Please God” I know He hears. It wasn’t until I joined Al-Anon this past year that I really understood Carol has a disease. I had to forgive her, and my father, for all the past and just love her through anything that might happen now or in the future. Alcoholism is indeed a “cunning, baffling, and powerful” illness – only basically controlled by never taking the first drink, which is simple but not easy. This past week, during Christmas season, which can be difficult and stressful under the best of circumstances but can be especially tough for an alcoholic, my sister relapsed after almost two years of sobriety. She didn’t tell me, but I could hear it in her voice on the telephone. Then, I couldn’t get in touch with her at all this weekend. She wasn’t answering her cell phone or land line, and wasn’t returning messages. Never before have I relied on the Serenity prayer so much. I prayed, over and over: “God, grant me the serenity to accept the things I cannot change, the courage to change the things I can, and the wisdom to know the difference.” One day at a time, one minute at a time, I went through the motions of this past weekend and put the care of my sister in the hands of a mighty God. Finally, she called back Monday and said she had been depressed the past few days and had not answered any calls. I talked to her for a while until I felt certain she was all right. When I spoke with her this morning, she sounded much stronger, and even looked forward to our Christmas Eve gathering. This may not seem like much but these are miracles of the heart. See, before I might have been confrontational. I might have even asked directly if she had been drinking. But that’s not my business anymore. My job is to take care of myself and to love her as best I can. She has an illness kept in remission only by abstinence. I have an illness too that is kept in check by attending meetings and talking with my sponsor. Prayer works. God always answers. Maybe not always the way we want Him to, and not in the time we would like, but He walks us through, because He loves us more than we could ever imagine. It was December 2009 and after five years of painstakingly getting out of bed early to put words to paper, my 365-page devotion book was complete. I admired my own craftiness. The ability to rediscover so many stories during my life and place them in the form of devotion in such a unique fashion was sheer brilliance… to my pea-brain anyway! I thought this book was going to grant the freedom from my day job. I would quit and become Jerry Jenkins, traveling the world sharing witty stories. But God’s plan is often very different from man’s. My quick search for publishers led me to a small website called Christian Devotions Ministries. The site led me to the “Write for Us” link and I immediately began altering one of my five-star devotions. After a quick alteration to meet the word count requirement, I pressed send. I knew stardom was close at hand. Wait, what was that again? My devotion showed promise? This was my All-Star devo! What did “showed promise” mean? As I continued to read the note, she explained a couple errors that were contained in my writing and attached her ideas. With fingers trembling, I opened the attached file. To my horror, there were more red splotches than black. I closed the document and gazed at the file containing my book, the same file that contained hours of labor, deliberation and Bible study. I sat in self-pity; five years of work now needed a complete makeover. “God, why?” I didn’t know what else to say. A few weeks later, I felt another tapping on my shoulder. It was New Years Day, a time for my family to hang-out, play games and eat lots of food. I didn’t have time for this, but I was pulled to my computer. The inbox flashed with a new message from Christian Devotions Ministries. The daily devotion was written by Eddie and Cindy, the co-founders of the ministry. But I couldn’t force my eyes from the screen as the joy contained in the devotions poured into my broken heart. They spoke of goals, prodigals and God’s will. I closed my computer. For two hours I helped in the kitchen and played games with the kids, but my mind kept returning to the email. I found myself again sitting in front of my computer crafting a response to accept the invitation. I talked for 30-minutes with Eddie and Cindy on their program and later after the show, God talked to them about me. Today my book still sits on my computer desktop. I look at it every now and then to remind me that I still have work to do. But God’s timing is perfect and for some strange reason, He didn’t want my book to be published yet. God’s plan was for me to host a radio show… me, a guy with no experience. May the LORD answer you when you are in distress; may the name of the God of Jacob protect you. May he send you help from the sanctuary and grant you support from Zion. May he remember all your sacrifices and accept your burnt offerings. May he give you the desire of your heart and make all your plans succeed. May we shout for joy over your victory and lift up our banners in the name of our God. Remember that God is control. Submit to His will and walk through the door He opens. Keep your eyes peeled, for the door might not be the one you desire, but the one He desires for you. I’d been a Christian since I was eight years old, but God’s power truly showed up in my life 25 years later. I was in the hospital for surgery I’d had multiple times in the past due to a chronic condition. But when I woke up this time, I was paralyzed on my left side. After years of physical, occupational and speech therapy, I had regained a lot of abilities previously taken for granted, but still couldn’t work or live on my own. Consequently, I was angry, resentful, and bitter at the surgeon, feeling that my life had no purpose anymore. The worst part though was my anger at God. After all, He’s all-powerful, so why didn’t he prevent it? I buried my emotions for years until, one day, I blew up at two of the people I most loved and who had taken care of me the whole time–my parents. I was still dependent on them which made it worse, as I couldn’t escape and pretend it hadn’t happened. It took many months of therapy, working through grief over everything I’d lost, and “yelling” at God when I spoke to Him, But over time, I came to realize that God hadn’t taken away my purpose in life and he hadn’t rid me of the ability to help others, He had simply changed what that would look like. So my “job” became trying to figure out what He wanted me to do now. That, in turn, required praying more and asking for guidance as to where to look. And that he would help me recognize the opportunities he set in front of me. When circumstances come into your life that you can’t understand, talk to God. Be honest with Him. He already knows what you think and feel. And persevere. in His time, He’ll answer and, though the answer may surprise you, it’s His plan will be the best in the end.